Save up to 10.3%* off MSRP on the 2018 Jeep Compass! The Jeep® Compass is built from the ground up to be the most capable compact SUV ever. 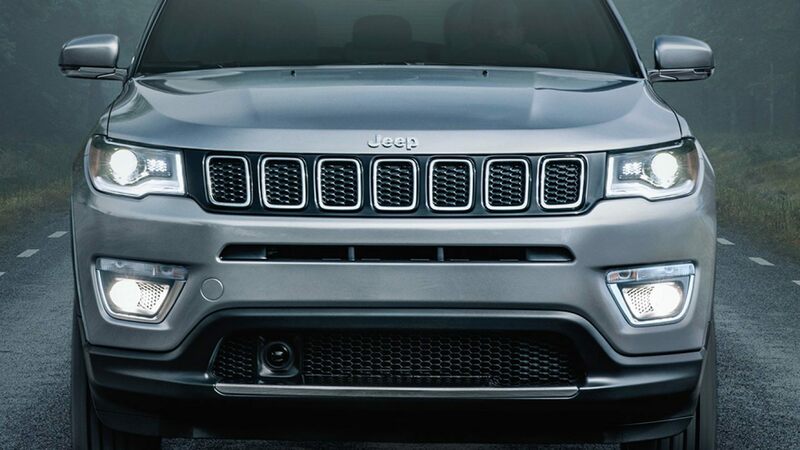 Its aerodynamic design exudes a confident stance with clever visual cues that are distinctly Jeep®. The interior rethinks and redefines the cabin experience with quality materials, detailed craftsmanship and state-of-the-art, high-tech features that blur the lines between sophistication and capability. A sleek, aerodynamic profile blends athletic styling with sweeping curves to create a look that is as confident on the street as it is on the trail. 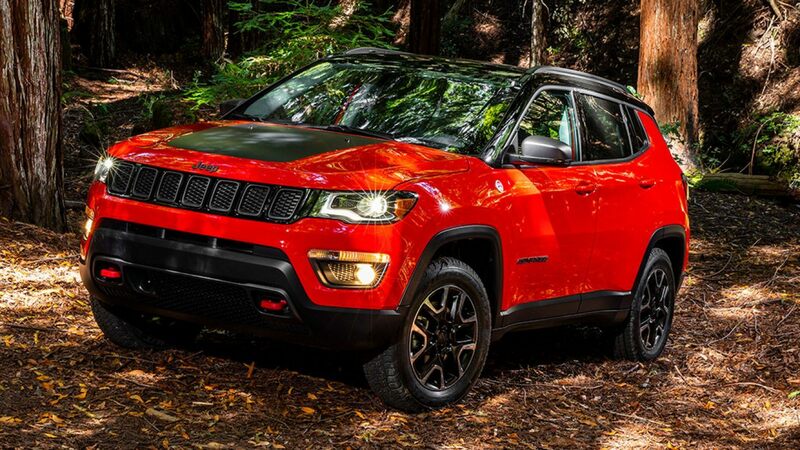 Clever visual cues like the available black roof and bright chrome molding that wraps dramatically around the rear and sides give the Jeep® Compass an upscale, sophisticated profile. 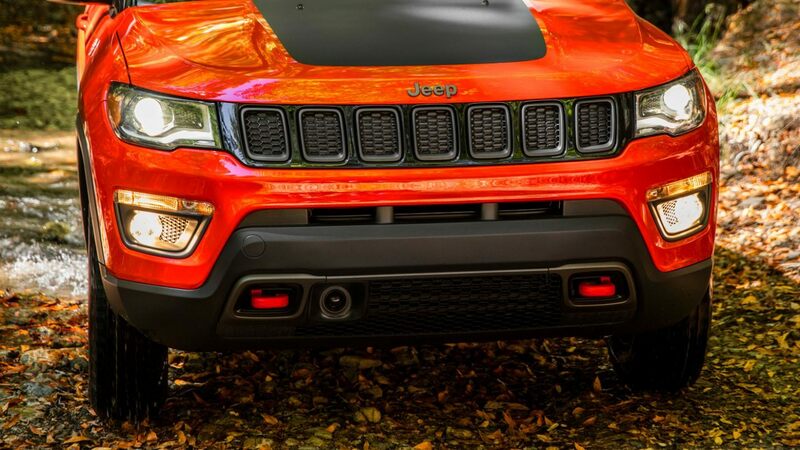 The Compass represents a bold step in legendary Jeep® Brand design. Featuring a refined attitude and a sculpted design aesthetic, the Compass silhouette is both modern and dramatic. The sloping roofline and powerful fenders create a stunning profile. Front headlamp options feature details like distinctive daytime running lamps with an available LED lighting strip. 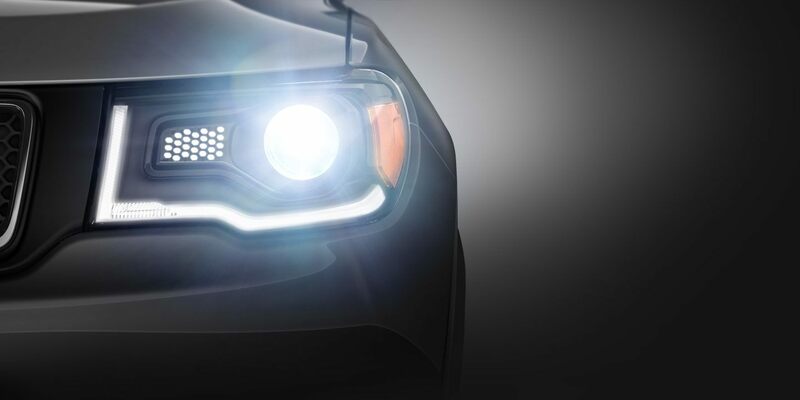 The main projector beam headlamps illuminate automatically when night falls or the sky darkens with storms. Available cornering fog lamps light automatically when the steering wheel is turned to illuminate sharp corners. The 2018 Jeep® Compass features taillamps that blend form with function. The taillamps mold themselves perfectly to the sweeping curves of the Compass, offering a distinctive look that stands out – both in design and on the road. Standard features include remote rear reflex and fog options, with an available premium option for LED lighting. Strong, confident curves and stylish accents transform the headlamps on the Jeep® Compass from purely functional into design statements. The standard quad halogen reflectors can be customized with available bright white accents, premium High Intensity Discharge projectors (Latitude, Trailhawk®, Limited) or signature LED lighting (Limited). Convenience combines with versatility in the cargo area design of the 2018 Jeep® Compass. Easily access the roomy cargo area with the available power liftgate. A simple press of a button opens the hatch, making for easier loading and unloading. 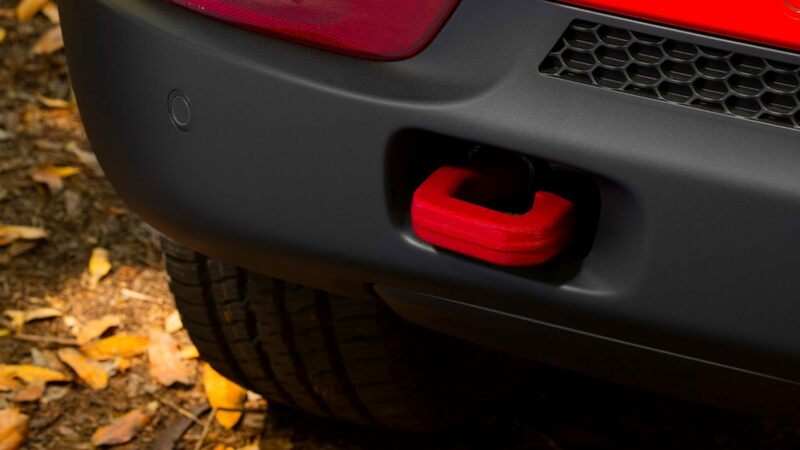 Signature ruby red front and rear tow hooks, plus impressive ground clearance and departure and breakover angles so you can fearlessly take on the trails. Every inch of the cabin has been sculpted to create the perfect environment for upscale adventures. From the available full-color 7-inch Driver Information Digital Cluster Display to the available dual-pane sunroof, you’ll find forward-thinking design with an emphasis on innovative features. SiriusXM Guardian™ connects you to your vehicle in ways you’ve only dreamed of before. With greater remote access and control, help on your drive is there when you need it: from roadside assistance to Navigation features to security alerts. With Apple CarPlay® support,you can access your iPhone®and many of its capabilities through the ease of your Uconnect® touchscreen. Listen to Apple Music®, get directions with Apple Maps, and use Siri® to make calls or even send and receive messages. Available Android Auto takes the power of the Android™ mobile operating system and integrates it with the award-winning Uconnect® system. Easy touchscreen Navigation and voice recognition will help drivers get where they need to be in a safer way. Stream endless music with Google Play Music, let Google Maps™ lead the way and use voice controls to perform a variety of tasks, all while staying focused on the road. Feel the wind in your hair and the sun on your skin, courtesy of the available panoramic dual-pane sunroof. The better the weather, the more necessary it becomes. The rear cargo area lets you configure your interior for more space when needed. The standard 60/40 rear seats fold flat for passenger and cargo-carrying needs. For extra-long cargo, fold the front passenger seat forward. The available power liftgate makes accessing the rear cargo area a breeze. 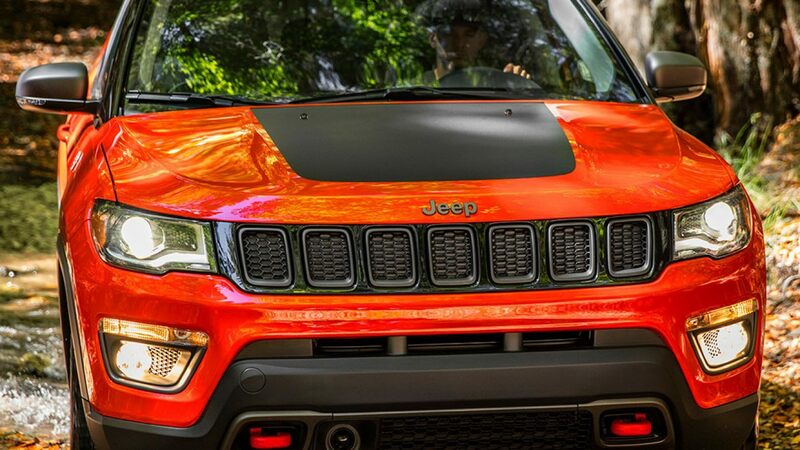 The Jeep® Compass Trailhawk® boldly goes where other vehicles only dare. Insulated electrical connections and enhanced body sealing, along with a high air intake, help you to navigate the streams and flooded underpasses that stop others cold. WATER DEPTH: UP TO 19 INCHES. 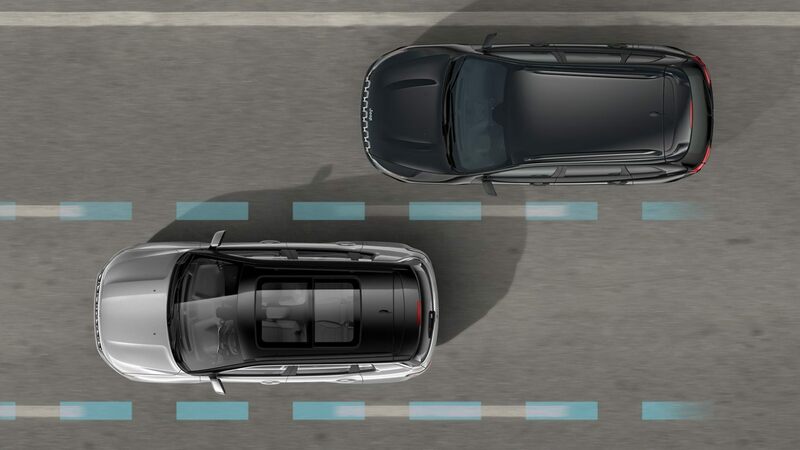 Conquer narrow gaps and maneuver through cramped driving situations. The Jeep® Compass Trailhawk® has precision steering and a tight turning diameter to help you dodge emergency situations. Keeping the rubber on the trail is what it’s about. 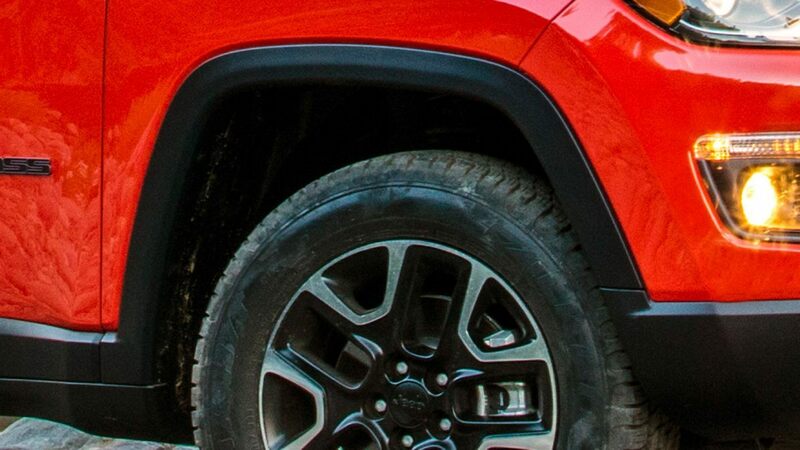 When one or more of the Compass Trailhawk® wheels becomes elevated while going over obstacles, good articulation allows the other wheels to stay in contact with the ground and keep you moving. 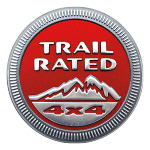 Logs, rocks and any other hurdles Mother Nature puts in your way can be easily managed by the off-road geometry engineered into the Compass Trailhawk®. Ground clearance measures an impressive 8.5 inches to help you conquer surprisingly large obstacles. Solid frame construction combines high-strength steel with other advanced materials to help create a protective cocoon around occupants. Occupants are further protected by one of the most sophisticated airbag systems of its kind with seven standard airbags. Driver and front passenger airbags incorporate a three-vent system to ensure optimal deployment for occupants of every size and weight. Stay safe, secure and in control with Uconnect® Voice Command. The system allows you to answer the phone8 and control music and entertainment features without taking your hands off the wheel or eyes off the road. No more fumbling for a key during inclement weather. With the key fob close by, you can unlock your vehicle by pulling one of the front door handles. 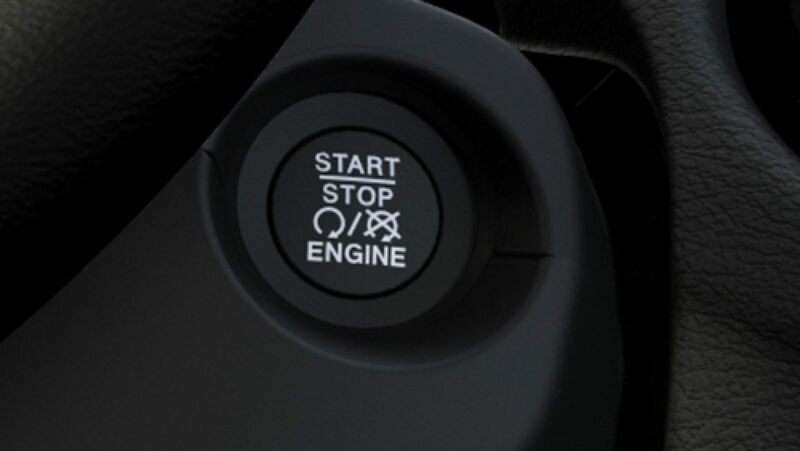 To start the engine, just press the Start/Stop button while stepping on the brake. 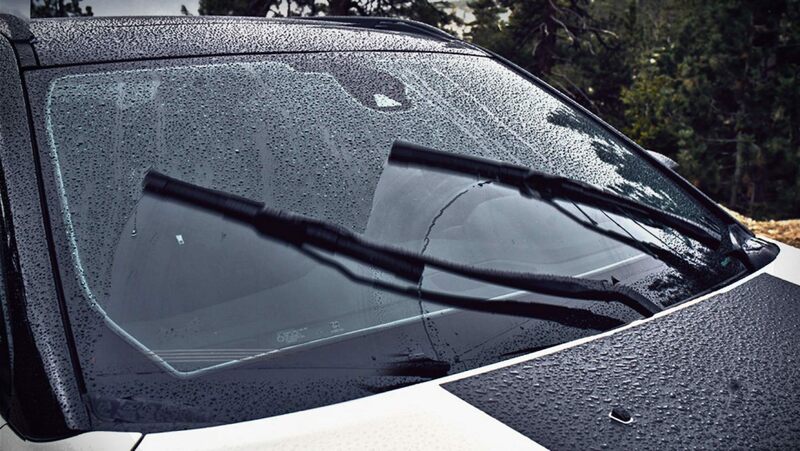 This available system automatically activates the wiper blades when precipitation is detected. The system will then operate the wipers and adjust their speed based on rain accumulation. 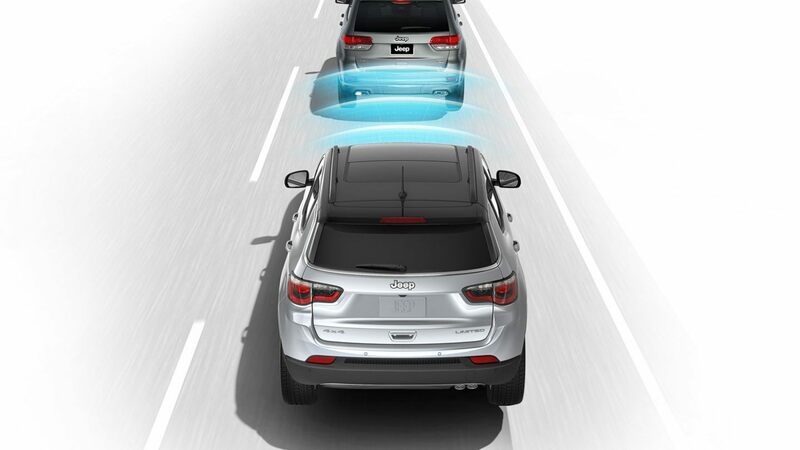 Automatic HeadlampsThis available feature delivers improved vision for the driver and increased pedestrian visibility for added safety and security under low-light conditions. The headlamps can be set to turn on and off automatically, depending on ambient light levels. The Compass offers a variety of trims and options. Our best-selling recommended buy configurations feature many of the incredible features and functions that make Compass a class-leading SUV. 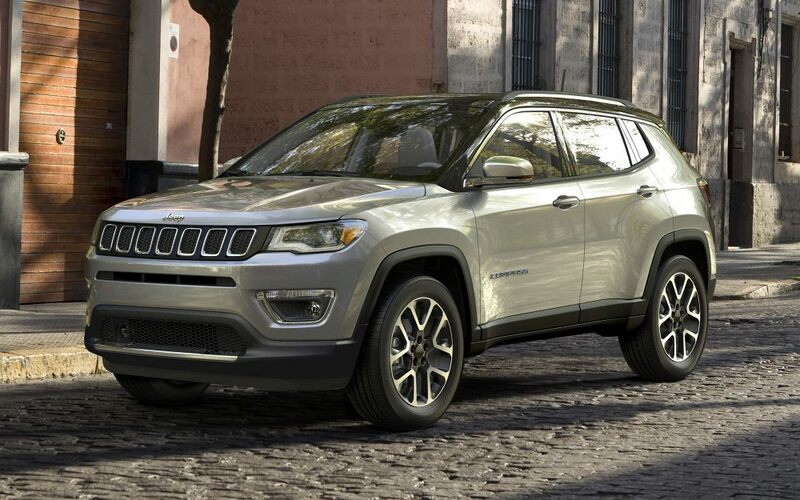 Get special military savings on Compass and the full Jeep lineup. Request your personal quote today for overseas or stateside delivery. *Offer valid through 10/8/18. Savings vary by model and delivery location. Vehicle shown is for illustration only and may contain optional equipment available at additional cost. All programs and guarantees are subject to terms and conditions. See your Sales Representative for complete details. Overseas Military Sales Group is an authorized contractor of the Exchange and NEXCOM. Military AutoSource is an authorized distributor to sell and distribute Fiat Chrysler Automobiles vehicles. This advertisement does not express or imply endorsement by the Exchange, NEXCOM, DOD components, or the Federal Government and is not sponsored by them.